New Star Wars! 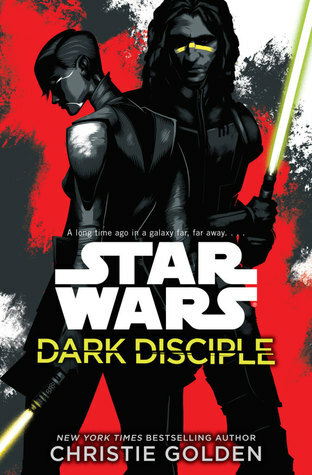 Dark Disciple is based on a collection of scripts from the canceled Clone Wars animated series on Cartoon Network which serve to tie up the story arc featuring Asajj Ventress, Count Dooku’s former apprentice. The galaxy-wide Clone Wars have raged for almost three years, but an end is nowhere in sight. Every Republic victory is matched by a corresponding setback, almost as if both sides were being played by a single entity bent on preserving the stalemate. The Separatist forces led by Count Dooku grow only more ruthless as the war drags on, committing atrocities that haunt the Jedi with their inability to prevent innocent bloodshed until even the Jedi council is ready to consider the unthinkable: assassination. 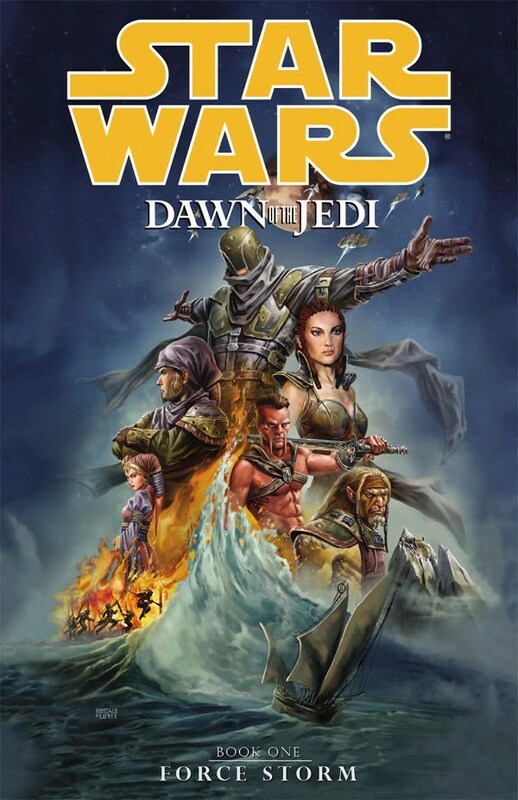 This dangerous mission will forge strange alliances, forcing unorthodox Jedi Master Quinlan Vos to ally with Dooku’s former apprentice Asajj Ventress, a deadly assassin holding a grudge against Dooku for betraying her and slaughtering her entire people. Together, Vos and Ventress could just be powerful enough to take out Dooku…if they don’t kill each other first. I have to say, I really enjoyed this one. Towards the end of the animated series Ventress was becoming one of the standout characters, gaining some real depth as she dealt with the consequences of Dooku’s betrayal and her private war for revenge. Add Quinlan Vos, one of my favorite characters from the Legends version of the Clone Wars, into the mix and you’ve got a winning proposition. If you followed the animated series, you owe it to yourself to check this out. If you’re a newcomer, you’ll probably be fine as well, though most of the references to past events will likely be lost on you. If you’re a veteran of the pre-Cartoon Network Clone Wars though…you’ll have to come at this with a clean slate. A lot of this, especially Vos’s storyline, is territory we’ve seen before, albeit through the looking glass. I’ll refrain from saying more in the interest of spoilers, but those who were reading Star Wars: Republic in the run-up to Revenge Of The Sith should know what I mean. CONTENT: Some disturbing violence and torture. Mild profanity. Mild flirting/sexual innuendo, but nothing explicit. This is a longer version of a review I did for the Manhattan Book Review. You can find that here. This…this is not the Star Wars you grew up with. This is a tale set in the far distant past of the Galaxy Far, Far Away–over twenty-five thousand years before the films, in fact. (For comparison, the earliest stories prior to this series starting happened five thousand years pre-films.) Force-sensitive beings from across the galaxy have been gathered in one place on the planet Tython, and over the course of ten thousand years have colonized the entire system. The Je’daii themselves live on Tython, an unpredictable world rich in the Force but dangerous for those without access to its power. Those without the Force have retreated to the other nearby worlds, but the entire system is cut off from the rest of the galaxy (this is pre-hyperdrive–they’re still playing with that one twenty thousand years later.) Outside the Tython system, the Rakatan Infinite Empire has embarked on it’s conquest of the stars, seeking Force-rich worlds to strip and enslave. Now one of their Force Hounds has had a vision of a world somewhere in the Deep Core, rich in the Force and ripe for the taking…. On Tython, three young Je’daii have a vision of impending darkness that will affect the three of them individually as well as having consequences for the whole planet…. The coming of Xesh the Force Hound will set off a Force Storm of unprecedented fury. Can the Je’daii survive? So, this is just another era in the Star Wars history, right? Well, yes…but this one brings to the table quite a paradigm shift. Still nearly twenty millennia before the schism that results in the foundation of the Sith order, the Je’daii strive to maintain balance–tipping neither too far into the light or the dark. That’s the biggest difference, but Ostrander and Duursema enjoy pointing out other things that have changed over the millennia, such as Tatooine being at this point in time a “lush” world with blue seas instead of the arrid wasteland Luke Skywalker will eventually grow up in. I absolutely love Ostrander & Duursema’s Star Wars comics. Legacy was one of my favorites, back when that was running, and I really enjoyed a lot of what they did together on Republic during that book’s run. Compared to Legacy and some of their previous works, this one hasn’t quite hit it’s stride yet. There are just a few too many characters jammed into a bit too short a tale to be fully satisfying, but then again this isn’t the end. There’s two more volumes of this series to go before all is done, plus a tie-in novel and a couple short stories. There’s still time for this to live up to it’s potential, but not a lot. The passing of the Star Wars comic license from Dark Horse to Marvel next year is destined to cut this series short at only three arcs. I’m hoping Ostrander and Duursema follow the license to Marvel as part of that deal, but I fear I’m to be disappointed. CONTENT: Mild language, as per Star Wars guidelines. Violence, not too disturbing. Some flirting, and some mildly provocative dress on the part of the female characters, but this is a comic book. What else is new? Confessions of a Bibliomaniac…. · My thoughts on the stories I read or watch, with random other stuff thrown in….